• Shih Tzu dog breeders are listed below alphabetically by State / city. 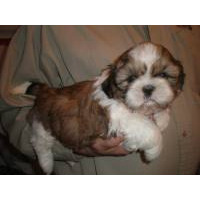 • Click on underlined words to find Shih Tzu puppies for sale. 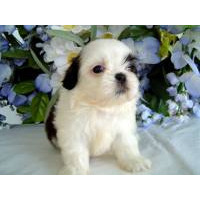 • Please tell the Shih Tzu breeders with puppies for sale that you found them on BreedersClub.net. 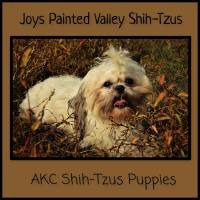 The Shih Tzu's name means lion dog and is part of the AKC Toy Group. It's flowing, long coat, lively and alert personality, along with its arrogant posture make it unique in appearance. Of ancient origin, Chinese aristocracy prized this breed. The coat comes in a variety of colors and requires daily brushing. This trusting little breed makes a fine house pet. Beautiful puppies, registered, up to date on shots and deworming. Cute, loving companions. Personality Plus! Our puppies are all family raised with much care and attention, well socialized with children and adults to become a treasured addition to your family. Reputable breeders, Red Cedar Farms is a small, caring breeder of healthy, quality puppies, located in Hutchinson, Minnesota. We have been dedicated to uniting very special dogs with loving, responsible owners for more than 21 years. We are committed to raising healthy puppies for people who desire to add a loving pet to their families. Our puppies are raised in a loving home environment. They are socialized with children, my husband, Bill, and myself. Our puppies are handled from the moment they are born which sets the foundation for a wonderful family companion. Our puppies will provide your family with many years of love, joy, companionship and fun. Before our puppies leave, they have been wormed, vaccinated and health checked by a licensed veterinarian. Red Cedar Farms is licensed by McLeod County and the State of Minnesota. I have been breeding family pets for many years. Very healthy pups. Written health guarantee included. All my puppies are CKC registered; beautiful pups. Must see. Shots and worming up to date. Raised with loving care and attention. These loving pups will make a great addition to any loving family. We strive to provide you with the happiest, healthiest, well socialized puppy for the most reasonable price. Our family works 7 days a week keeping our kennels clean and well maintained and our dogs and puppies well groomed. We register our puppies with AKC or APRI, and we give a two year written health guarantee on genetic defects. All of our puppies are up to date on their shots and wormings before they leave for their new homes. 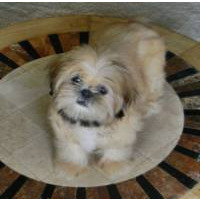 This breed directory page features Shih Tzu dog breeders with puppies and/or adult dogs for sale. Once you purchase your new found friend, you will want to provide it the best in pet health care. Be sure to visit our online discount pet supplies catalog and order NuVet Plus™ to keep your puppy and adult dogs in top condition. The discount catalog also features collars, leashes, carriers, general pet care products and much more. BreedersClub.net does not pre-screen the Shih Tzu dog breeders who advertise their puppies and dogs for sale in the BreedersClub.net breeder directory and in the classified ads. We require all advertisers to agree to our advertising terms. 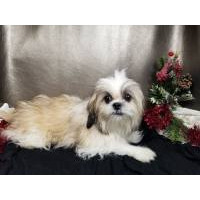 You should ask the Shih Tzu dog breeders you talk with for references from past buyers and veterinarians.